I completed my BS in physics and mathematics in 1998 and PhD in physics in 2005, and after completing an astrophysics post-doc in Italy, I have come back to the United States. I have tutored physics and mathematics for 7 years, as well as taught physics at Washington University for 4 years. I am currently an Associate Professor at Shoreline Community College where I teach Physics and Astronomy. I have over 20 years experience tutoring mathematics including algebra and prealgebra. Most recently I have tutored these subjects at Shoreline Community College, Cascadia Community College, and South Seattle Community College. I have over 20 years experience tutoring mathematics including algebra and trigonometry. Most recently I have tutored these subjects at Shoreline Community College, Cascadia Community College, and South Seattle Community College. I also use algebra daily in my teaching of physics. 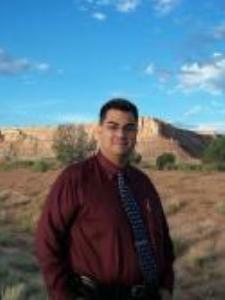 I have over 20 years tutoring experience including experience tutoring calculus and advanced calculus. I’ve also taught pre-calculus at the College level. I also use calculus extensively in my physics classes. I have over 20 years teaching and tutoring experience including tutoring of chemistry. I have also taken chemistry up to the organic chemistry level. Most recently I have tutored chemistry at South Seattle Community College. I have a PhD in physics, and regularly teach physics at Shoreline Community College. I have over 20 years experience teaching and tutoring physics. I have over 20 years tutoring experience including prealgebra. In addition, I have also taught prealgebra and algebra at Shoreline Community College. I have over 20 years tutoring experience including precalculus. I have also taught precalculus at South Seattle Community College. I received my BS in mathematics from Texas Tech University in 1998. I have received a BS in mathematics from Texas Tech University. This degree included classes in ordinary differential equations, as well as partial differential equations. I have also tutored Differential equations at South Seattle Community College and Shoreline Community College. I have tutored physics, Chemistry, and mathematics up to and including differential equations, and some graduate mathematics. I've tutored most recently at South Seattle Community college where I have tutored all of these subjects. I have also taught Trigonometry at the college level. I have a PhD in Astro-Physics, and regularly teach Astronomy at the college level.